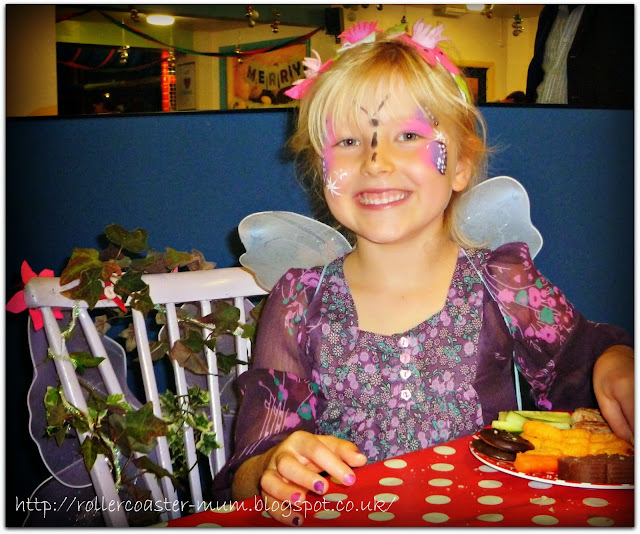 My beautiful Little Miss as the fairy queen at her fantabulous fairy birthday party at Fizzy Kids Fairy Castle in Farnborough. They did a fantastic job of making her feel really special and entertaining Little Miss and her friends. 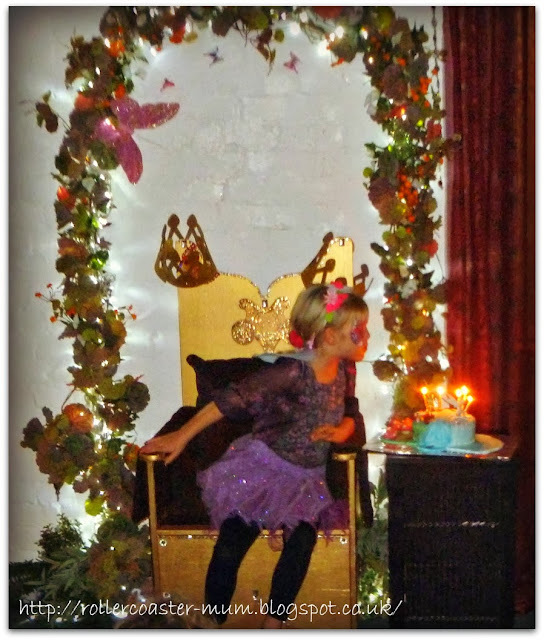 She loved sitting on her fairy throne at her party! 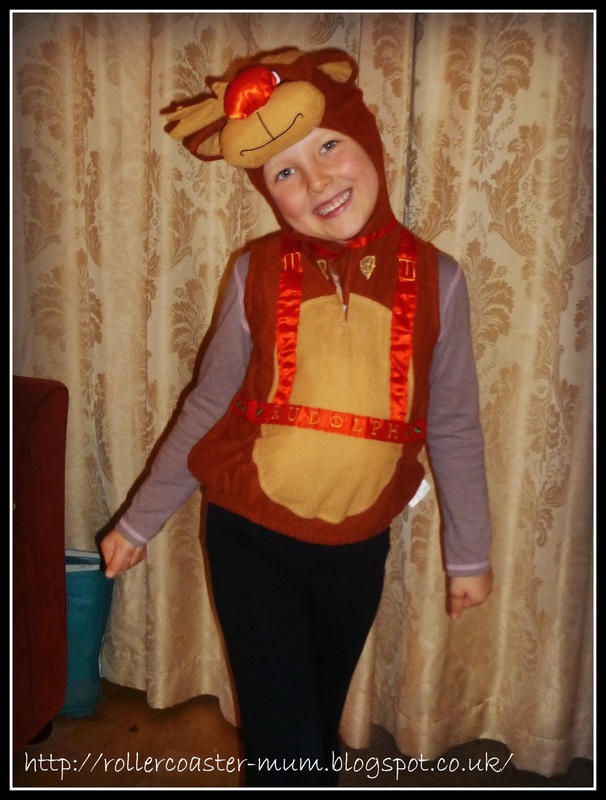 Little Miss being quite possibly the cutest Rudolf ever - all dressed up for her Rainbows Christmas party! Very proud of Bigger Miss who got the Star Award for the most improved pupil in her year for the second time. 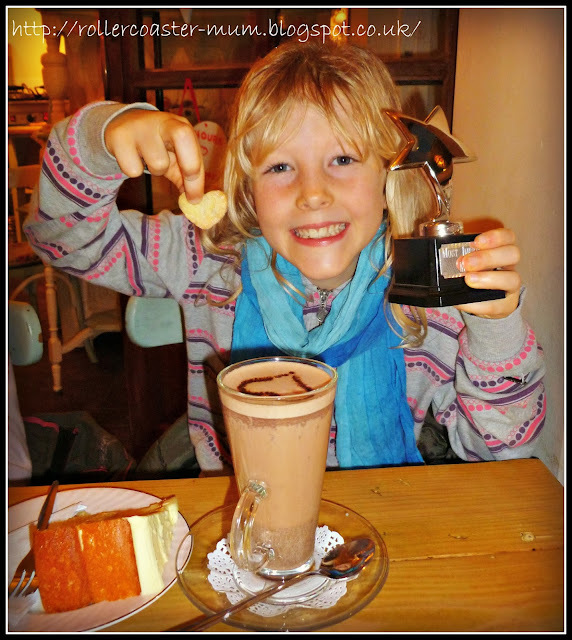 This called for hot chocolate and cake with her best friend in a lovely local tea shop to celebrate. 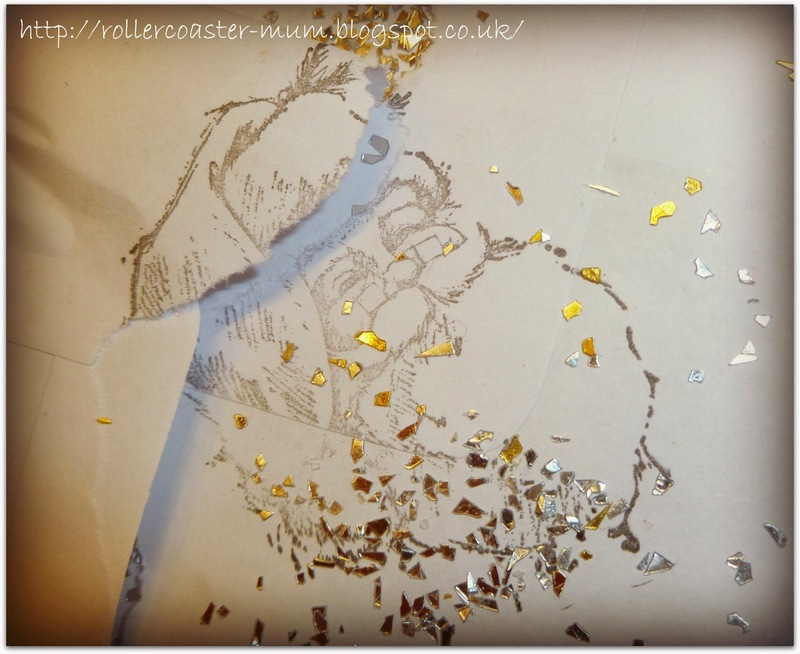 School has been so mad at this time of year, I forget every year how manic it is and it's so hard to maintain the blog at the same time; family is far more important! Glad you're back though! Wonderful photographs of your fairy princess, she's such a pretty girl and looks so completely and utterly happy in those shots. And well done to Bigger Miss for achieving so well in school! Gosh it sounds like you have been incredibly busy honey! Love the face paint - Eliza would love a fairy party. What a lovely Rudolph she makes! There's so much going on at Christmas isn't there? I'll be glad when I get to the in-laws on Xmas Eve and can put my feet up for a couple of days. Huge well done on the school award and what a happy fairy that is! You've had such a busy week. Happy Birthday to Little Miss, what a cool fairy throne :) and a big congrats to Bigger Miss on her special award. Gorgeous face paint, she looks so cute and lots of happy faces which is lovely to see. well done on the star award and the well deserved treat She is a very cute Rudolph. Love the fairy throne, how nice. Well done on the school award!